A Christian believer, with a headcovering, praying the Holy Anglican Rosary. If you cannot afford an Anglican Rosary, we can supply you with one for free (limit one per household). Simply email us by clicking on the email icon at the top left hand corner of our website. In your email, include your full name, address, and church affiliation and we will send you a Anglican Rosary as they are available. 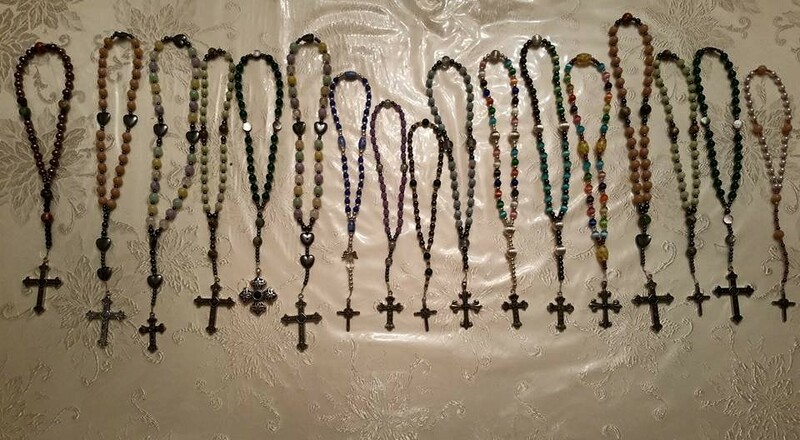 We request that you please send us a $5 (or whatever you can afford) for the shipment of these Anglican Rosaries through PayPal by clicking here. If you cannot afford to donate any amount, do not worry as we turn no one away who has the sincere desire to use this devotion in their spiritual life. 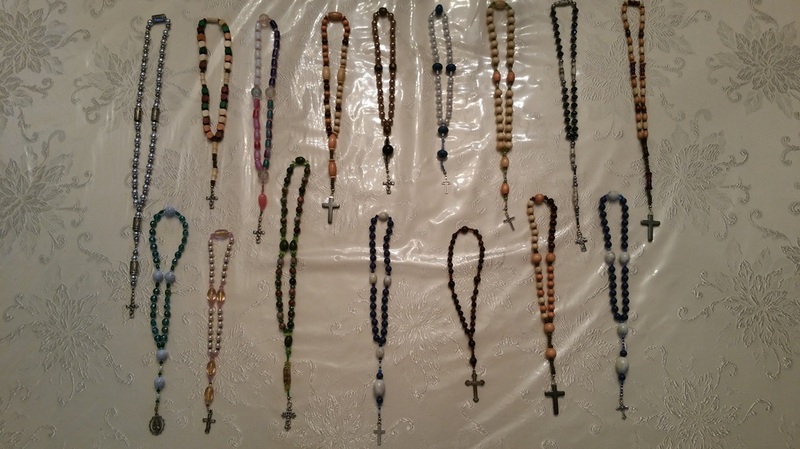 For the more fortunate, we would be happy to also supply an Anglican Rosary to you, and we suggest a $15 donation. All the donations we receive go into shipping these rosaries out to the needy, in addition to buying supplies to make new ones for them.